11kv aerial bunched cable is belong to medium voltage aerial bunched cable, their applications are the same as each other. So when you choose the 11kv abc cable, you can refer to aerial cable. The product is connected closely with people’s life, so the quality, security of 11kv aerial cable directly influence the customer’s own security and valuables. Huadong Cable Group always put the quality and service in the first position. If you want to know the producing and test video, you can contact us. Phase Conductor Circular compacted stranded H68 aluminium to BS2627. Conductor Screen Extruded semi-conductive layer. Insulation Screen Extruded semi-conductive layer. Support Conductor Aluminium alloy conductor (AAAC/1120). Assembly Three XLPE insulated cores are bundled around the AAAC/1120 support conductor in a right hand lay. Some customers pay more attention to 11kv aerial bunched cable price, and ignore the quality. As we all know, you get what you pay for. Due to the security and other factors, the price of 11kv aerial bunched cable may be higher than customers’ expects. But if some 11kv aerial bunched cable price is very low, sometimes it may be lower than the basic price. There must be some problems existed, such as quality, the material the producing the testing of 11kv aerial bunched cable. Their security can be proved. So you can compare the 11kv aerial bunched cable of Huadong cable and other companies, send the enquiry, you can get the most competitive price. 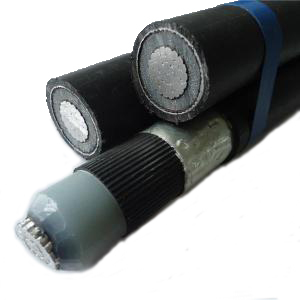 Before choosing 11kv abc cable, some users may be unconfirmed of the using requirement, the environment factor of product, and may don’t know exact application,performance of 11kv abc cable. However, some areas need special requirement. The customer need buy according required 11kv abc cable specification. Sometimes Purchasing personnel doesn’t focus this point, he will buy the wrong 11kv abc cable specification product. It may contribute to the security risks. Huadong cable can producing 11kv aerial bunched cable according to your required 11kv abc cable specification. Leave your message, we will contact you later. These points are the most important in choosing 11kv aerial bunched cable. So you must be careful and know the exact about you requirement and required product. We have exported many countries, so if you tell us your requirement, we will provide the best product.